Referred to as “Door Kits” or “Pre-Hanging"
Although many professional finish carpenters prefer to do their door machining and pre-hanging on site, others prefer the convenience of installing doors that have been pre-hung. By having your doors prehung in the factory, you are guaranteed a perfect, smooth closing door every time, regardless of the level of experience of the installers. 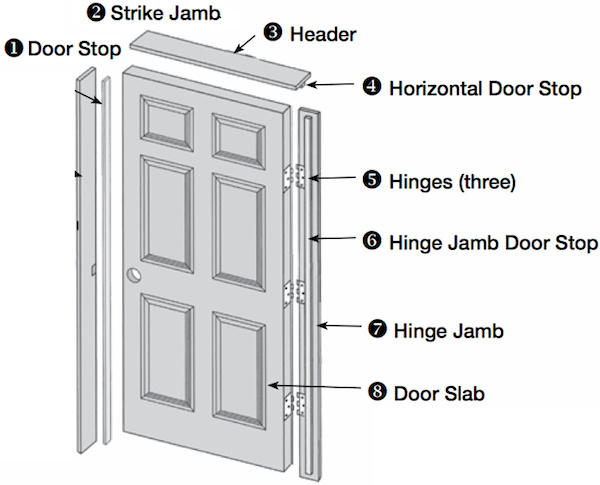 When ordering pre-hung doors, you will need to know your Door Swing and the thickness of the wall. A wall built with 2x4’s requirers a jamb 4 ⅝” thick. Wider or thicker walls are mostly likely built using 2x6’s, they require a jamb 6 ⅝” wide. 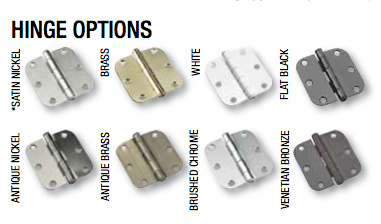 With our wide selection of hinges, you are sure to find the finish that will match your door knob or lever perfectly. Your pre-hung doors kits do not include: Shims, door lock, paint, or any addition screws other than what are required for the hinges.